Luxury Real Estate Branding: Join Forces with Your Competitor! Are you a LeBron James fan or foe? The latest media frenzy that centered on his “big decision” to stay in Cleveland or “take his talents elsewhere” (namely Miami) has polarized basketball fans the world over. Like him or not ESPN scored a major coup in creating an hour long TV “special” around the decision and triggering a controversy heard around the globe. This level of hype for a sports news company has overshadowed its closest competitors. What is at stake? Being able to attract more advertising dollars both on TV and online--that is what is at stake. To compete with ESPN, Turner's sports division is about to take control of the Web business of Sports Illustrated, owned by Time Warner's Time Inc. magazine unit. The partnership will combine Sports Illustrated's SI.com and Golf.com with a the websites managed by Turner Sports, including NBA.com, Nascar.com and PGA.com. Time Warner estimates that the combination of websites will reach 40 million unique monthly visitors in the United States. To put this in perspective, according to comScore Inc.Yahoo was the most-popular online sports destination in May, with 35.9 million unique visitors. ESPN, which is owned by Walt Disney Company, had 25.4 million in the same period. If joining forces with a competing luxury real estate agent indicates to you as a good decision, be very careful how you brand your new team. "Turner/SI Digital" is nowhere close to being as powerful as simply Sports Illustrated Digital. Perhaps this is just a working name for now, but brand name recognition should be of paramount importance in your “big decision”. You will notice that the photo above is not LeBron. 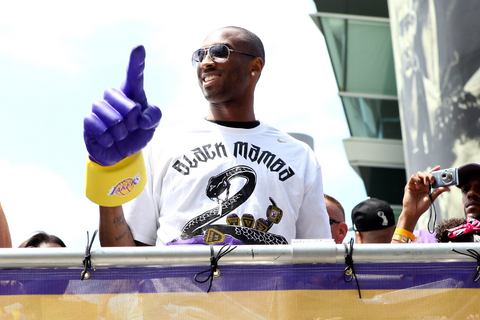 It is five time NBA World Champion, Kobe, the undisputed MVP in our book.